Want to be where the action is on Election Day, Nov. 5? The Franklin County Board of Elections is recruiting Democratic poll workers in Hilliard, Dublin, and Worthington. Registered Dems can sign up at 614.525.5393 or by completing an online application. The FCDP Needs Your Help! The Franklin County Democratic Party is in need of volunteers to help us answer the phones at Party headquarters. We're getting a large number of phone calls from voters seeking information. We don't want to miss these important phone calls at this time of the year. If we can't help voters we may not get their vote. We're also getting phone calls for voters who may need transportation to the polls. We have a long list of drivers who are more than willing to make sure every person has a chance to cast their ballot, but we need help matching voters to drivers. If you can help even for a couple hours per day, we'd really appreciate it. We especially need people on Tuesday, Wednesday and Thursday. This would only be until after the election. If you can help the Democrats in Franklin County, please call 614-229-5286 or e-mail us at franklincountydemocraticparty@gmail.com. We're located at 545 E. Town Street. There is free parking available in the teamster’s parking lot on Walnut Street behind our headquarters. Please help us to educate and keep our voters! Read more about The FCDP Needs Your Help! With the 2012 General Election less than 60 days away, your help is needed now more than ever. Across the state we have seen Republicans using every voter suppression tactic they can muster -- firing two Montgomery County Board of Elections members who stood up for weekend early voting, challenging hundreds of voters' registrations, and worst of all, standing with Secretary of State Husted to limit in-person early voting. 2012 Campaign staff are pouring into Columbus and they need housing! Some will be here for a weekend, some for a week, some for several weeks, and some until the election! They will be working with the Obama campaign, the Sherrod Brown campaign, and ODP. There are also interns who need housing, as well as international and out-of-state volunteers. This is a great way to help the campaign without ever leaving your home or writing a check. It's a very rewarding experience and really is a lifesaver for those you take in! Canvass for Fair Voting Districts on Saturday June 9th! This Saturday people all across Ohio will be hitting the streets, fighting for fair voting districts. Help put voters first by canvassing for signatures on June 9th at either 10 AM or 2 PM (or both if you’re a rock star!). Meet at 1395 Dublin Rd. Read more about Canvass for Fair Voting Districts on Saturday June 9th! Action Item: Laptops Needed for 2012 Campaign. We need laptops to do virtual phone banks, and not every phone banker comes equipped. Do you have a laptop you're not using that we could borrow for the 2012 campaign? Or would you like to make a donation of one of the cheap-cheap laptops from Microcenter ($250 gets a reconditioned laptop now) to help our cause? 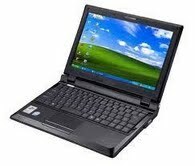 Read more about Action Item: Laptops Needed for 2012 Campaign. UAPA needs your help. We need to add to and clean up our database so we can use it for the upcoming elections. We have a plan to get it done by the end of the month, but we need your help to do it. We know that you're busy, but any time you can give will allow us to reach our goal and be effective in electing Democrats!